America’s Next Top Model will be on until the end of time and in its upcoming 20th cycle, Tyra Banks has decided to inject some newness into one of the sexiest competitions on television. For the first time ever, male models will be given the chance to compete for the title, making this season one, big, giant Guys vs. Ladies battle. The promo trailer below teases plenty of “I’m going to do this way better than you” exchanges, but annoying banter aside, it looks like it’ll be an interesting season. One filled with pain (the guys appear to have trouble handling the manscaping portions of the competitions) and one filled with integrated challenges featuring both the guys and ladies. But who will come out on top? 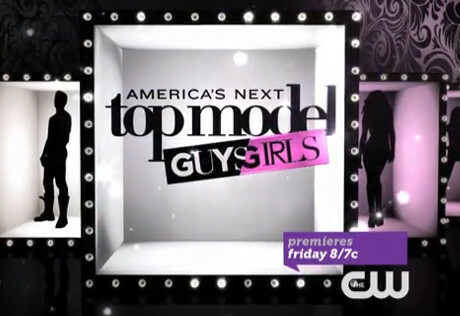 Will a guy take the coveted title of ANTM or will a lady take home the prize? Alex Agro, 21, Palm City, Fla.
Renee Bhagwandeen, 24, Fort Lauderdale, Fla.
Jeremy Rohmer, 19, Mission Viejo, Calif.
Phil Sullivan, 24, Lanesboro, Mass. Take a look at the teaser trailer. Let us know if you’re excited with this new direction or if you think America’s Next Top Model is simply running out of enticing ideas to keep hold of its audience. The new season premieres Friday at 8/7c on The CW.